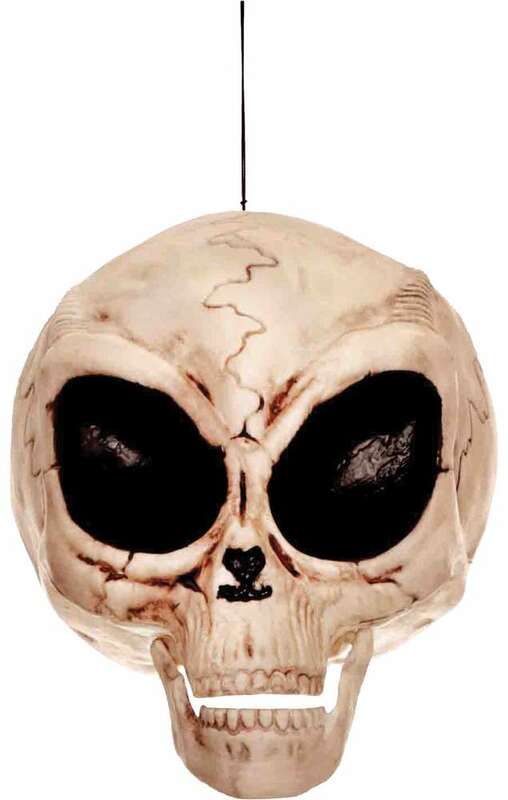 This frighteningly realistic-looking alien skull looks like it could have been found in the desert near Area 51. Large almond-shaped eyes with small jaw. Made of a light weight plastic with attached hanging loop and movable jaw. Measures approximately 6'' tall.